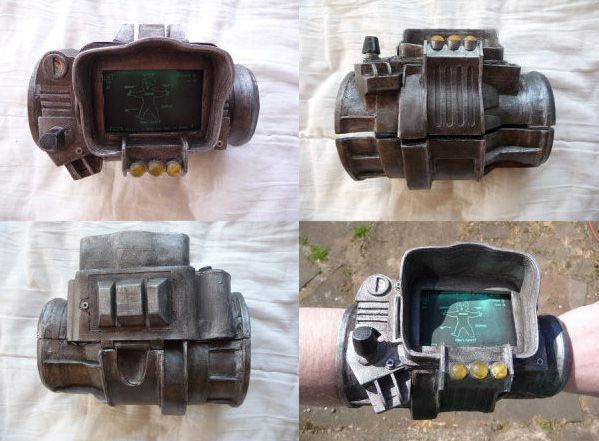 With this hand-crafted Pip Boy 3000 (and an iPhone 4), you'll never have to venture out into the Wasteland unprepared again. It's perfectly normal for a person to, every now and then, get the urge to wander out of their nice safe Vault into the irradiated wastes that remains of the world after the nuclear holocaust of World War III. But these wastelands are not safe places, oh no: They're full of mutants, bandits, and potentially game-crashing - er, life-threatening - bugs. 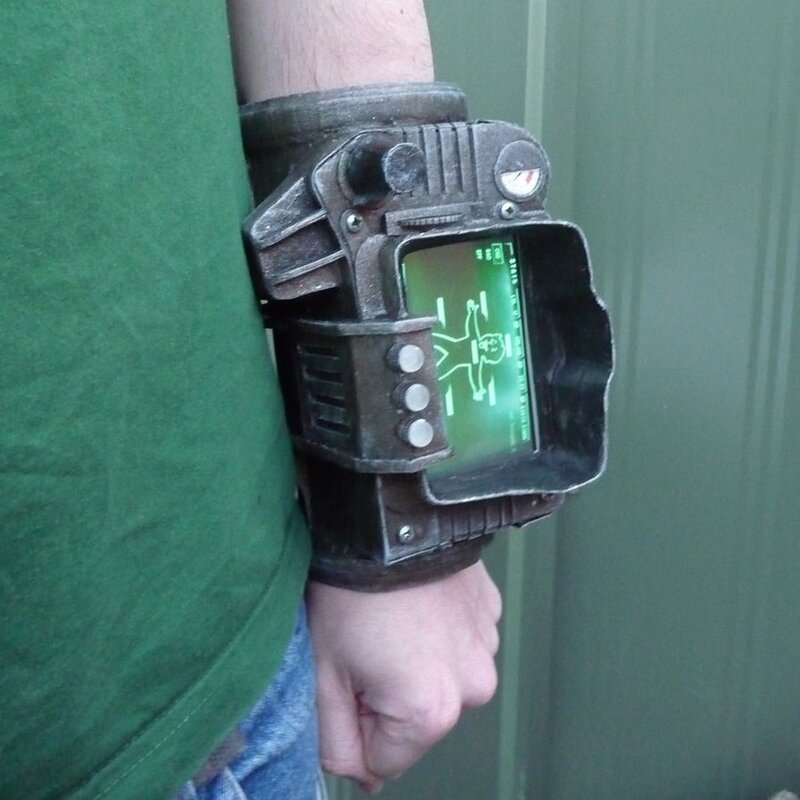 So, as any wasteland wanderer knows, you never leave your Vault without your trusty Pip Boy 3000. 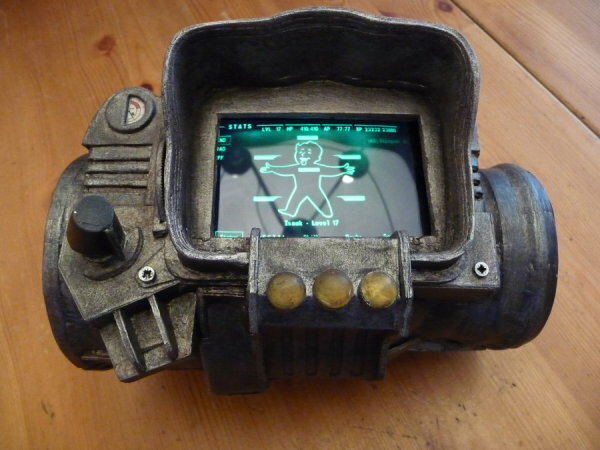 It may look like it's made out of genuinely welded metal, but creator Chanced says this incredible-looking real-life version of Fallout's Pip Boy was made with naught but "card and paper," mostly. Oh, and an iPhone 4 - that would be the screen, of course. 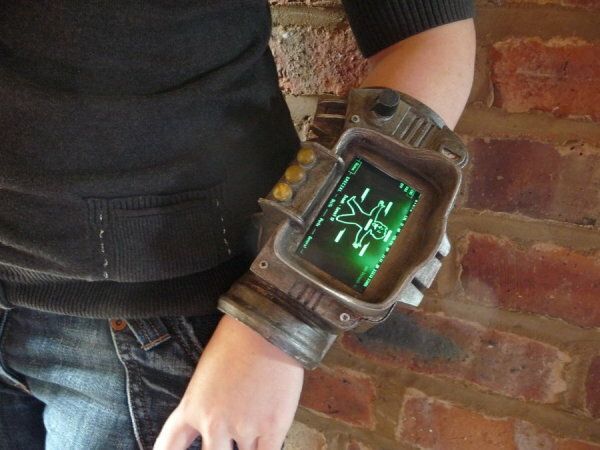 So, not only can your Pip Boy help you survive in a post-apocalyptic nuclear wasteland, but you can play Angry Birds on it, too! 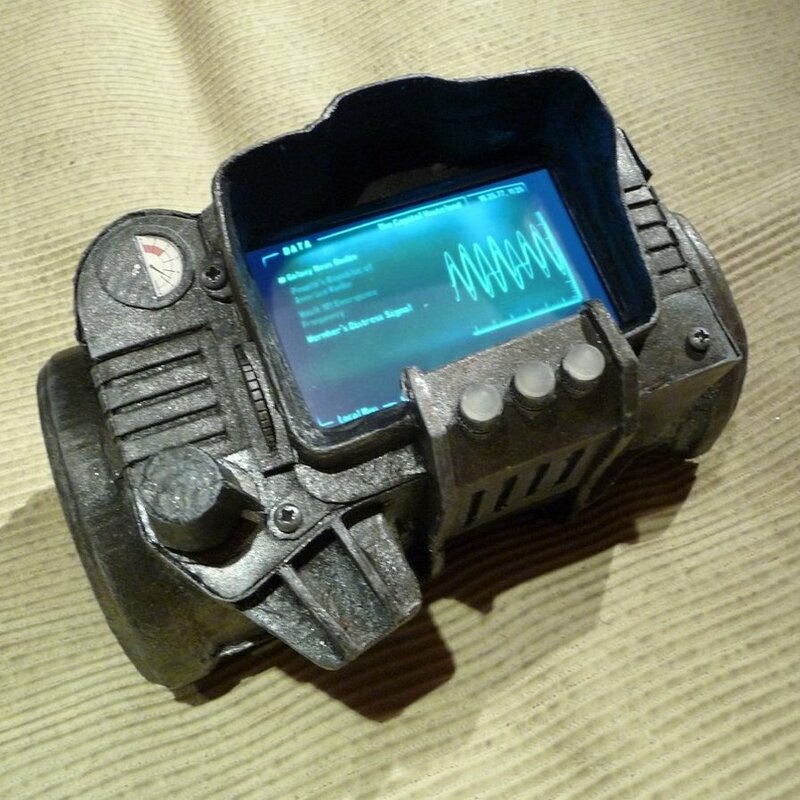 If you've got an iPhone 4 lying around and want to look like the most stylish Vault dweller ever, Chanced is selling these babies over at Etsy. Or, rather, he was - his lone prototype has since sold out. Maybe if he gets enough requests, he'll make more.